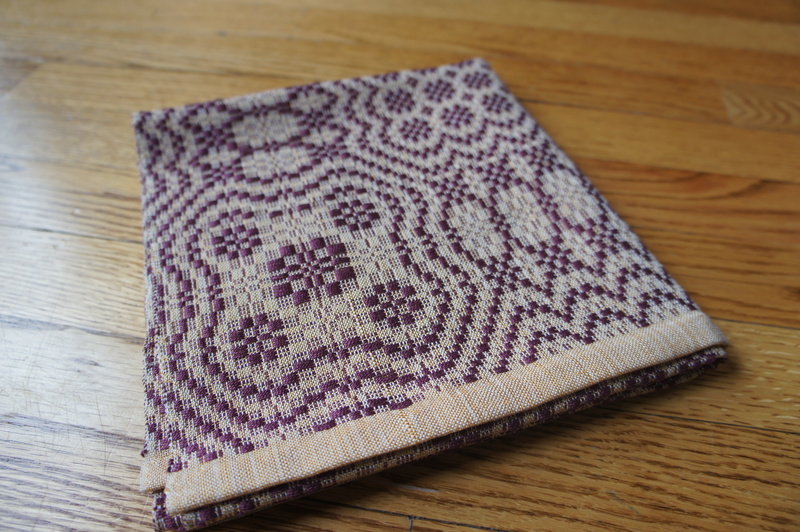 I finally finished weaving the overshot table runner. This has been washed and hemmed and is being packed up and mailed as a wedding gift to my mentor and his partner of many years (maybe 20+ years?? – sorry B & R, I don’t know the official length of time!). They were finally able to legally marry in New York City this past summer. They married very quietly, with a handful of close friends as witnesses. No big party or fanfare. I heard the news about a month later, when my mentor and I were having dinner at a conference and he happily showed us his wedding ring. I immediately started to think about what I could give them as a wedding present. It’s only fair that they get wedding gifts just like everyone else! But what to give them? It’s not like they need kitchen supplies to “get started” in a new household…. I should iron this one more time. But I’m lazy and probably won’t since it will be folded up to mail….. 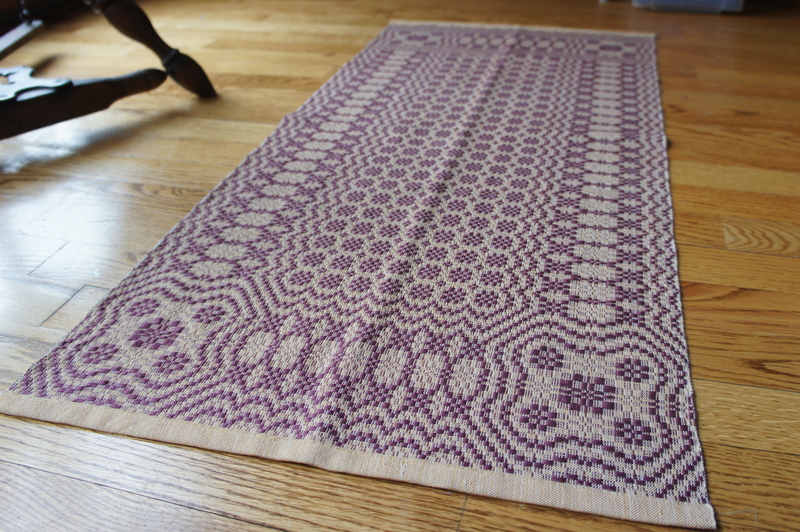 I had the yarn for this overshot table runner, and decided it would be the perfect gift. It’s my 3rd project on my floor loom, and my first project in overshot. 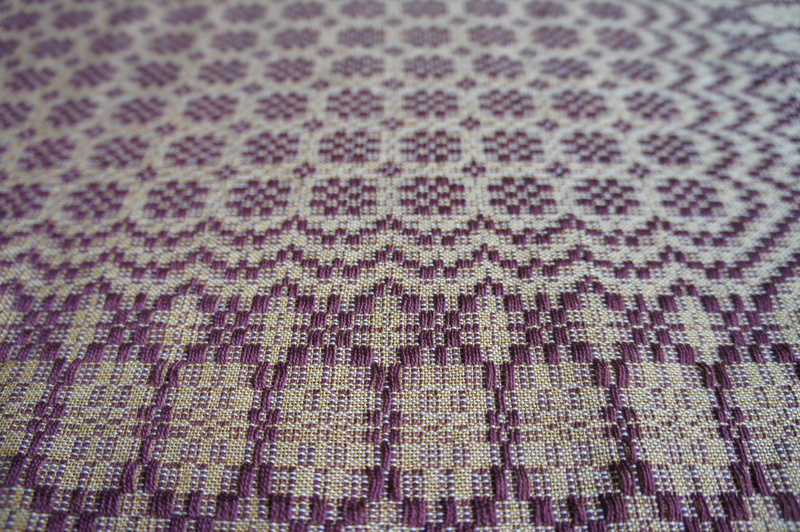 Love this pattern, though it was challenging – nearly 600 heddles to thread. Then I had some trouble with the thin warp (in 20/2 cotton) snapping on me, and some tension issues. 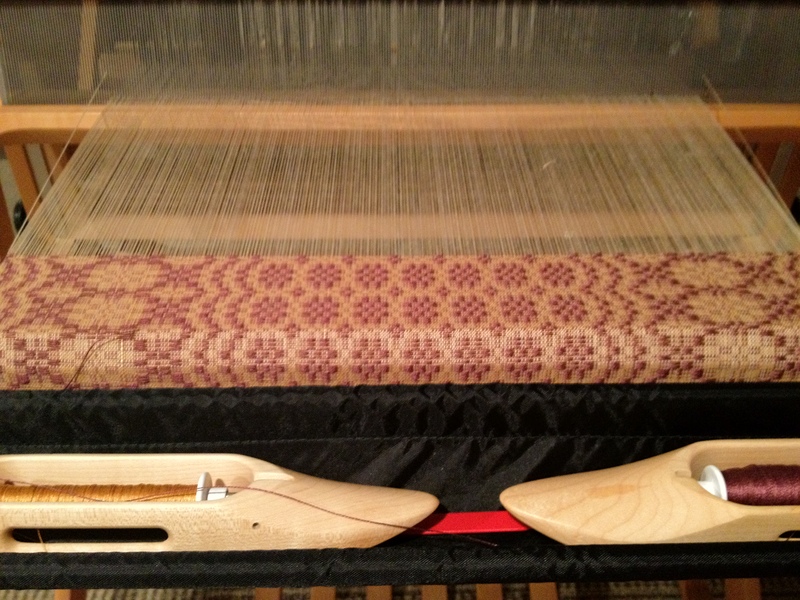 I also nearly ran out of warp and should have wound a longer warp or packed the weft in more…. but all in all, I’m really happy with how it turned out. It’s definitely not perfect, but hopefully that makes it even more charming. (and maybe I’m the only one who will notice the mistakes!) Their home is older and I remember it having lots of original wood molding and details. I think these colors will fit into their decor nicely. Folded up and ready to go.